Nottingham Defend Council Tax Benefits Campaign are lobbying Nottingham City Council to publicly announce that they will not evict people because of Bedroom Tax arrears and that a recent Nottingham Bedroom Tax Eviction Protocol[i] cannot prevent Bedroom Tax evictions. The group have responded to the Evictions Ptrevention Protocol but they have not had a response from Nottingham City Council. Notices Seeking Possession have been sent by Nottingham City Council to residents in Clifton and St Anns. The Lobby will be held at Clifton Cornerstone on Friday 4 October at 10.30am. [i] The Eviction Prevention Protocol was signed by Nottingham City Council, Nottingham City Homes, Nottingham Community Housing Association and ASRA Housing Group on 14 September 2013. There is a rising tide of mass resentment against the Government’s austerity programme. To take the Council Tax Don’t Pay campaign further, come to the meeting at 19.30 on Wednesday, 14th. August at the Sumac Centre, 245 Gladstone Street, Forest Fields, Nottingham. CAN’T PAY, WON’T PAY! CANCEL YOUR COUNCIL TAX PAYMENTS TODAY! DON’T PAY COUNCIL TAX, SUPPORT COUNCIL TAX PROTESTOR! 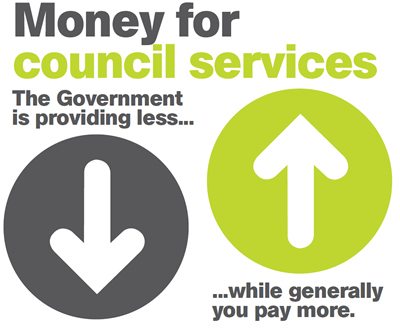 Thousands of people in Nottingham are not paying the Council Tax because they can’t afford it. The policies of the Coalition Government are forcing millions of people into poverty. The cuts in vital local services imposed by Labour-controlled Nottingham City Council are making worse the problems faced by people on low incomes. It was rich bankers who created this economic mess but ordinary people are being forced to pay. Now is the time for us to hit back at the politicians who serve the rich. CANCEL YOUR COUNCIL TAX PAYMENTS TODAY! No Bedroom Tax evictions in Nottingham! Lobby Monday 8th July 1pm Nottingham Council House – organised by Notts Defend Council Tax Benefits Campaign. Nine UK councils (including Broxtowe Borough) have said they will not evict people who cannot pay their rent because of the Bedroom Tax – We can get Nottingham City Council to do the same. Under the “Under Occupancy Charge” (Bedroom Tax), the government is taking 14% or 25% off peoples’ Housing Benefit if they live in social housing (council or housing association) and have one or more “spare” bedrooms. * The Bedroom Tax unfairly hits people with disabilities, carers, parents with part-time custody and young people who are forced to share bedrooms. * The Bedroom Tax is a cut in Housing Benefit, which is claimed by some of the poorest in the community including part time workers, low waged and people unable to work because of their health or disability. * It does nothing to help those who claim Housing Benefit because they are out of work, or because they are so poorly paid that they need to claim help with housing costs. * It will not bring down the Housing Benefit bill which is big because of high rents – mainly in the private sector but now social landlords can charge 80% of the market rate. * Even if people are able and willing to downsize, according to the Evening Post there are only 35 one bedroom properties available in Nottingham for the 6,000 people affected by the Bedroom Tax to move into. Social housing is in short supply because of a lack of investment by the government over many years. · Refuse to evict people who can’t pay their rent because of the Bedroom Tax. The process of evicting someone from their home is long, complex, expensive (it costs £6,000 per household) and extremely stressful. · Rather than using resources in this way, we say Nottingham City Council should use its reserves to build a campaign in Nottingham to pressurise the government to scrap the Bedroom Tax. We believe this campaign would be supported by the majority of people in Nottingham – many of whom are unaware of the changes. At the Council meeting on Monday July 8, the council will be discussing how they will be implementing the Bedroom Tax. Lobby Nottingham City Council on July 8!